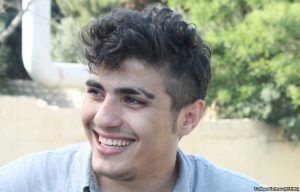 Azerbaijani journalist and human rights defender Mehman Huseynov has gone missing and is believed to have been abducted by the unknown assailants in the heart of Baku, the Institute for Reporters’ Freedom and Safety (IRFS) reported today. The IRFS calls for his immediate release and for anyone with information on his whereabouts to come forward. Huseynov was reported being pushed into a vehicle between Gogol and Hazi Aslanov street in the heart of Baku at around 7.54 pm local time Monday, leading IRFS to believe he was possibly being abducted. Huseynov’s family and colleagues reported the incident to local police. Mehman Huseynov is a well-known Azerbaijani journalist and blogger. Mehman Huseynov is the editor-in-chief and lead correspondent of SANCAQ socio-political magazine disseminated over Facebook, Youtube and Instagram. Mehman Huseynov’s photo and video reports have been pivotal in terms of raising awareness of political and social problems in Azerbaijan. In his recent series of video reports, called “Hunt for Corrupt Officials”, he documented corruption in the high echelons of Azerbaijan’s ruling establishment. His Facebook blog, Sancaq Production, reaches more than a thousand communities in Azerbaijan. Overall, he is followed by more than half a million social network users on a daily basis. His journalism makes a difference, as it very often helps resolve issues and hold officials accountable. In November 2016, he was elected as IRFS’s new chairman. The previous chairman of IRFS, journalist Rasim Aliyev was beaten to death in August 2015 in Baku.